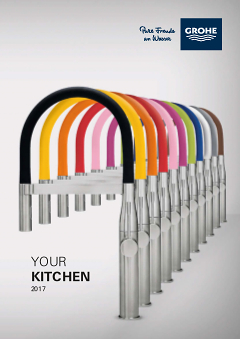 With its high spout, this kitchen tap of the GROHE Eurostyle Csomopolitan range allows you to fill pots of any size with ease. It also comes with an adjustable swivel range that can be set to 0°, 150° or 360°, allowing you to lock the spout in position or switch flexibly between two basins. The GROHE SilkMove technology ensures a smooth and effortless control of water temperature and volume. With the convenient top-mounting assembly and our easy installation system, you will have the installation completed in the blink of an eye and without any hassle. This stylish sink mixer will also be a visual highlight in your kitchen: the hard-wearing GROHE StarLight chrome finish will always look shiny and new, even after years of use.